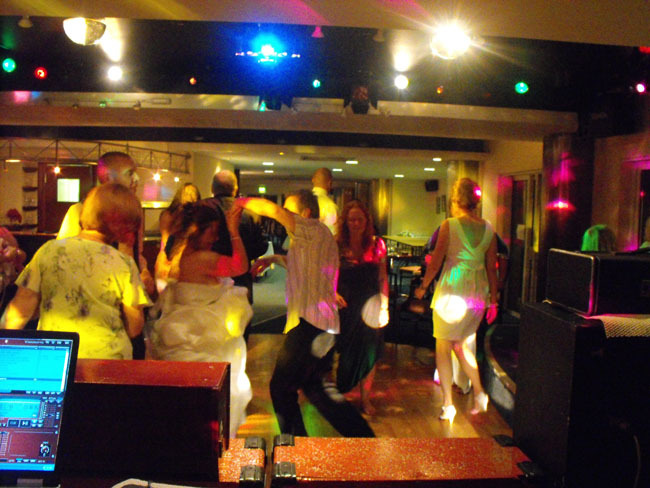 Mobile Disco Services Providing Entertainment for every occasion Weddings, Birthdays, Engagements, around Poole, Bournemouth, Dorset. Music for every Occasion by request. 50yrs ago. In this time we've been on tour round Europe and Scandinavia. 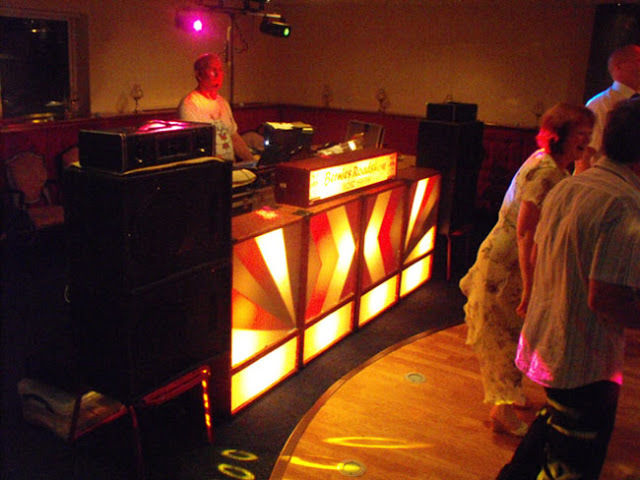 We have catered for nearly every type of Disco event possible from fitting the show in to your front room to giant size stages. We've Built and supplied P.A. or (sound reinforcement) for an assortment of headline bands of the day, then gone on and supported them, some went on to be the new headline bands of the day. 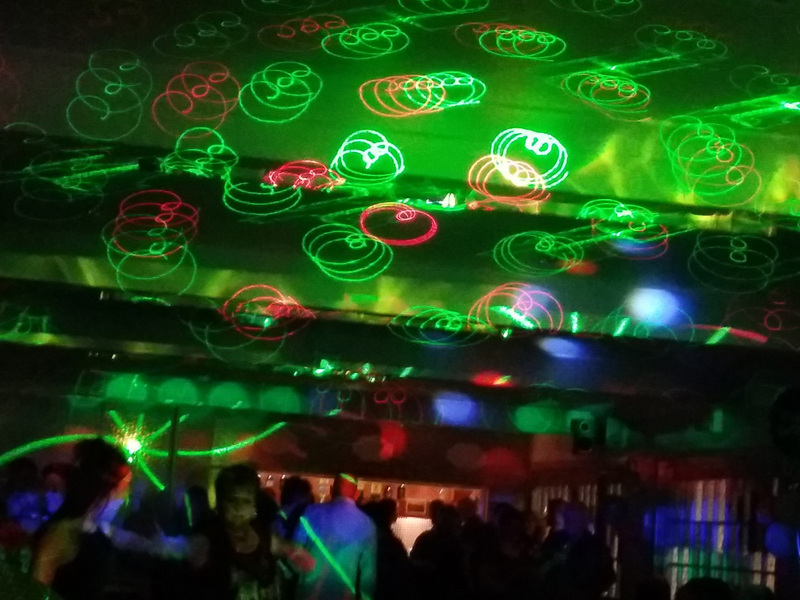 Old School disco Style of music. 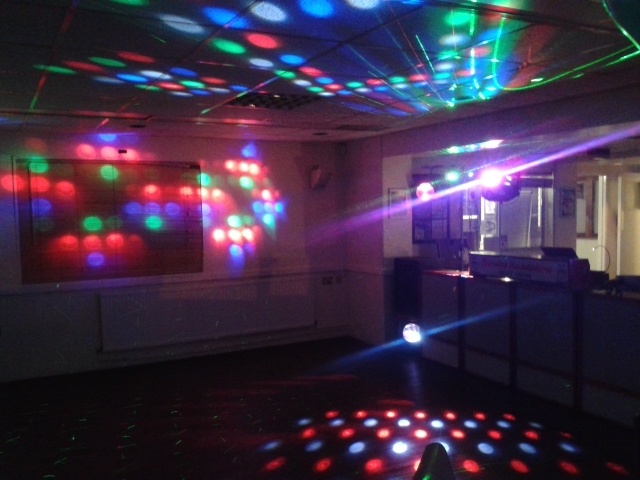 Pubs, clubs and youth club disco's. 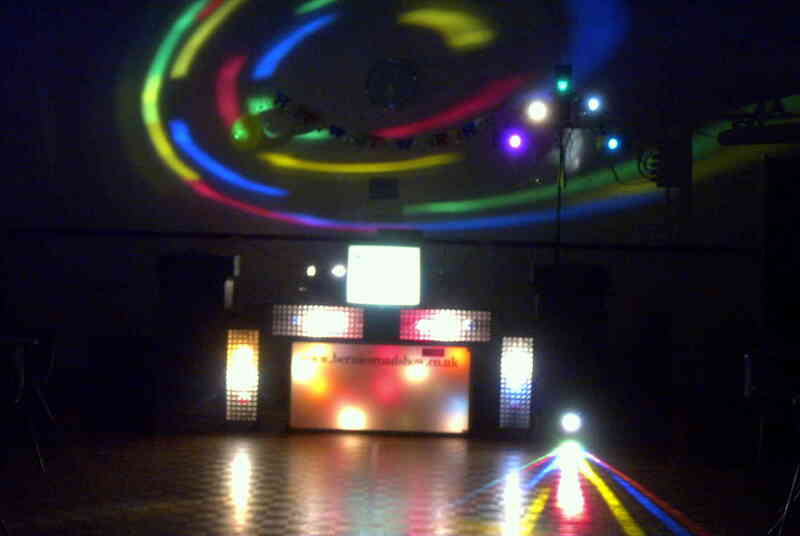 Wedding Discos, Engagements, Anniversaries Birthdays, etc. Corporate events, shop openings, presentations, etc. 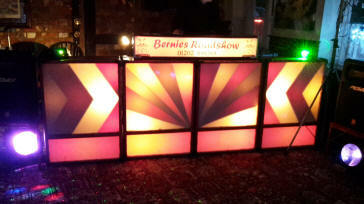 50s ~ 60s or 70s theme nights, Soul nights and Northern soul-dayers etc. You name it we've probably played it and probably seen it all too, along with the T shirt oh and the video. While we normally work in the Dorset area we also cover Hampshire, Wiltshire and Devon, all prices being worked out accordingly on travelling distance. for other areas please contact us. If you have any questions please don't hesitate to contact us we will get back to you as soon as we can either by email or phone. We have placed a mail back form here for your use. For all other inquiries click the mail address. A little of what you'll see and hear. 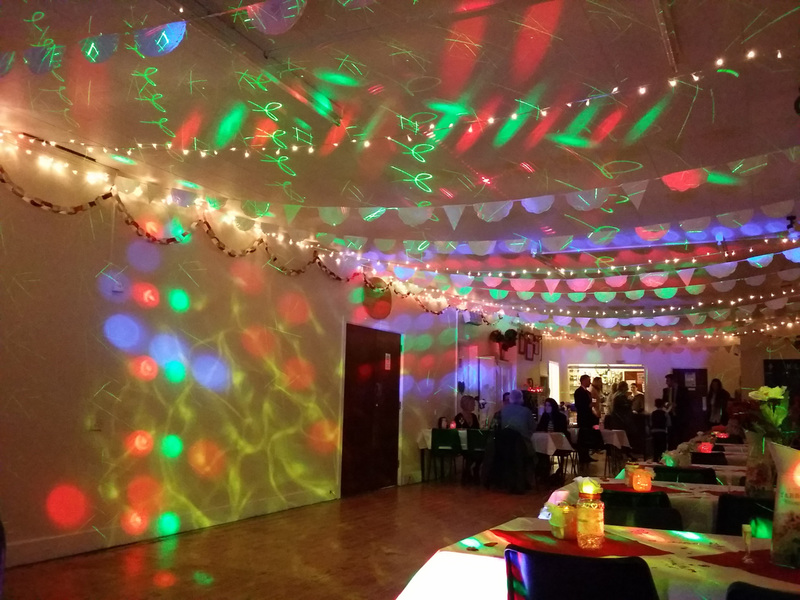 At Bernies Roadshow our aim is to make your event special, catering for your needs, offering advice if required from our vast experience of thousands of functions. Helping things to run smoothly. We cater for most tastes in music carrying 15,000+ songs with us at any one time. 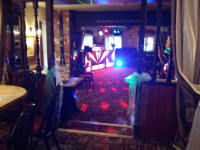 With advance notice we can play particular special requests for you and will always try to play requests on the night. 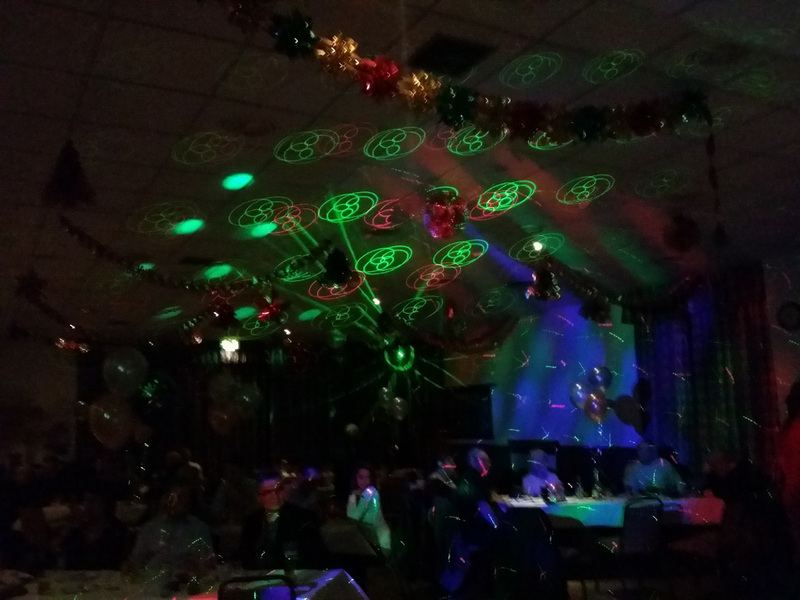 Hopefully ensuring a good night is had by all. Our extensive music library runs in to hundreds of thousands of songs covering from the late 40/50s through the 60s, 70s, 80s, 90s, 00, to present day. Below are just a few types of music we can play. Our extensive music library, covers from the late 40/50s & 60s, 70s, 80s, 90s, 00, to present day. 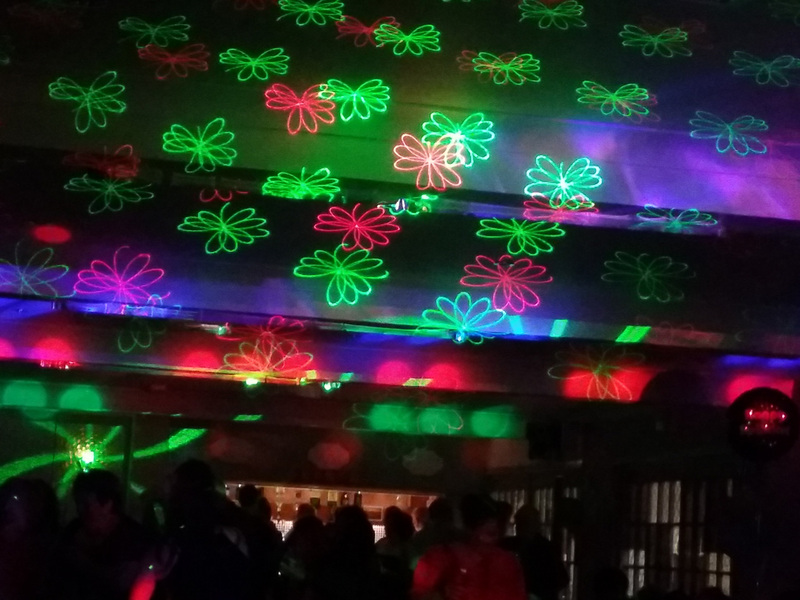 60s, 70s & 80s theme nights. 60s and Rock 'n' Roll. 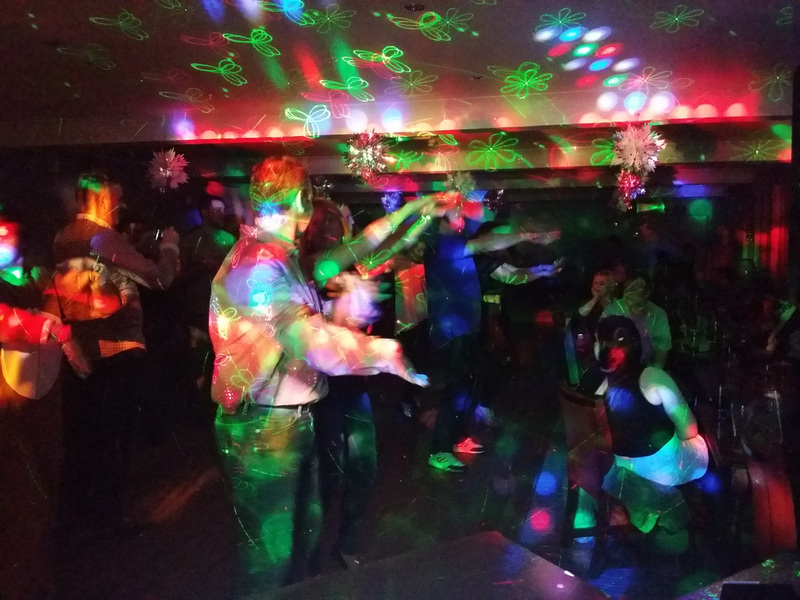 Party music, things you can join in with..! And of course we play your requests. 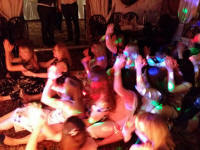 Booking enquiries can be made by filling in the Inquiry form on the website and sending it to us or by calling us. Quotations are free. Once, time, place and fee is agreed we then put your function in the diary and send you a contract to read and sign and return back with your deposit. We can be contacted by phone or email should you have any queries or concerns and when we're not available we have an answering machine. 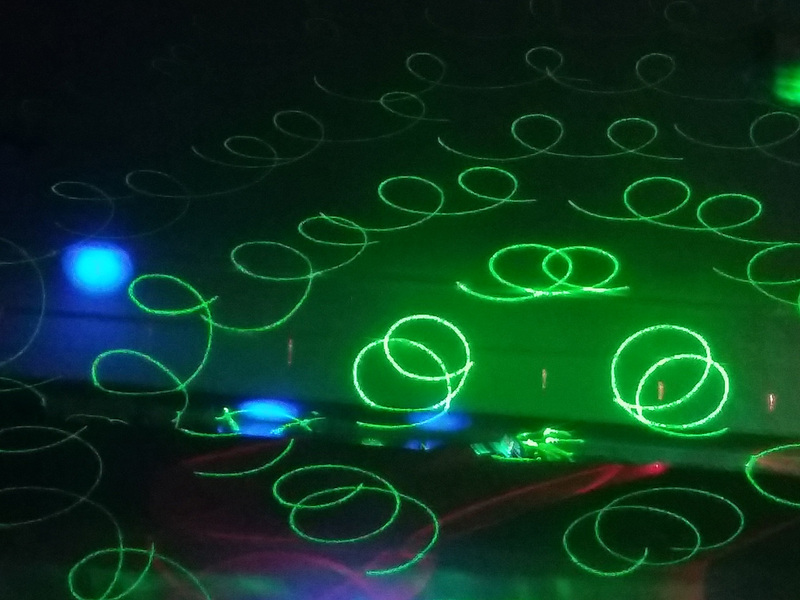 All our equipment is PAT tested and we carry a P.L. certificate. 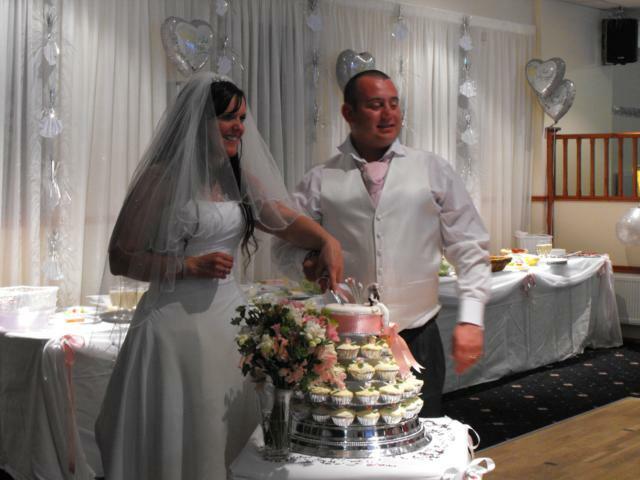 We normally work in the Dorset area round Poole, Bournemouth, Wimborne etc. we also play in Hampshire, Wiltshire and Devon, pricing is worked out accordingly on travelling distance. For other areas please contact us. If you have any questions please don't hesitate to contact us we will get back to you as soon as we can either by email or phone. Its your special day nothing can be left to chance. 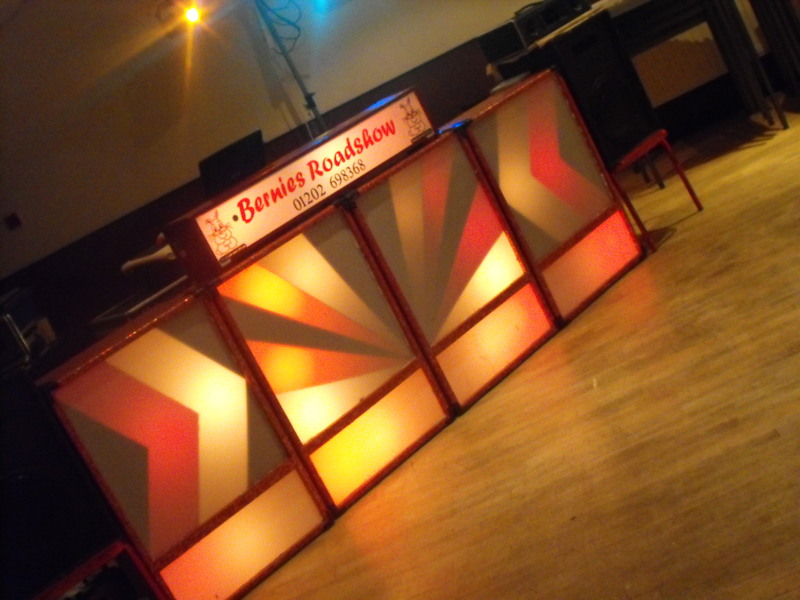 Bernies Roadshow can offer you advice on Venues, music for the first dance, caterers, M.C's, photographers, even where you can get your wedding attire and help planning your evening to cater for your special day. 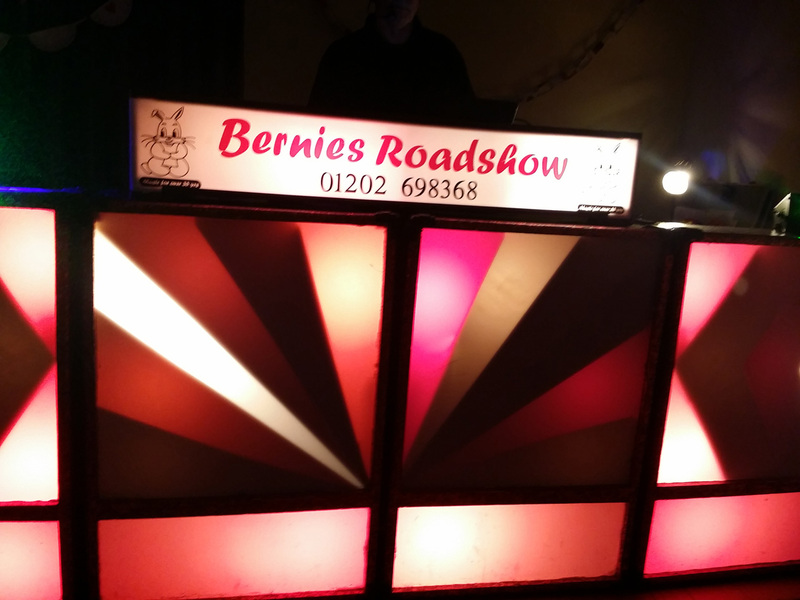 Bernies Roadshow has over 45yrs experience or wedding discos, that's averaging 45 wedding a year accumulating a wealth of experience to help ensure your day is extra special. Your D.J. will discuss in advance any special requests, announcements or other details that you would like him to do or include on the evening. "First dance music" page showing music other couples have chosen. Still cant decide! on one song? so pick three if it's easier. On the day of your Wedding your DJ will consult with you or the best man to confirm your options on your selection of music and other requirements e.g. announcements, archways, anniversaries etc. He can act as Master of Ceremonies, compare and can introduce the bridal party (if necessary) and get your guests involved on the dancing floor (or any other "activities" you might have planed). 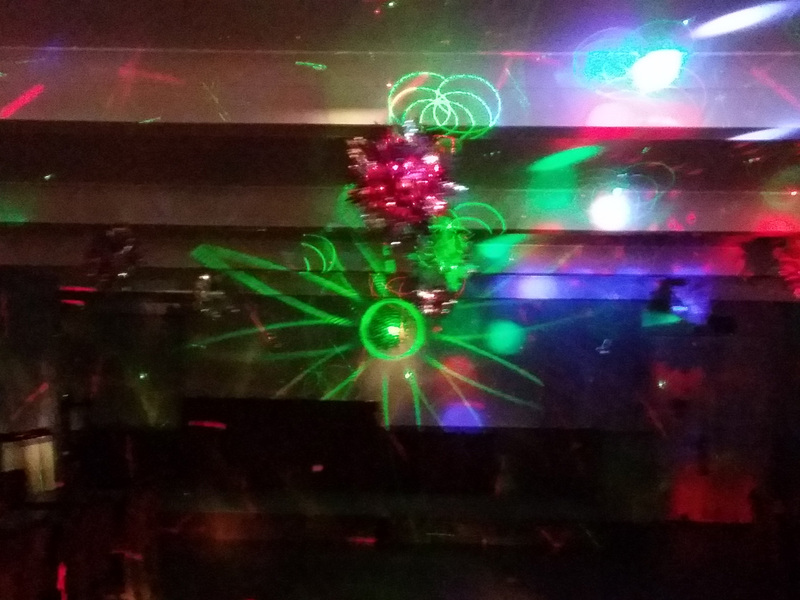 If you have younger children at your function your DJ might make balloon toys for them, (this is only done while people are sitting and chatting). 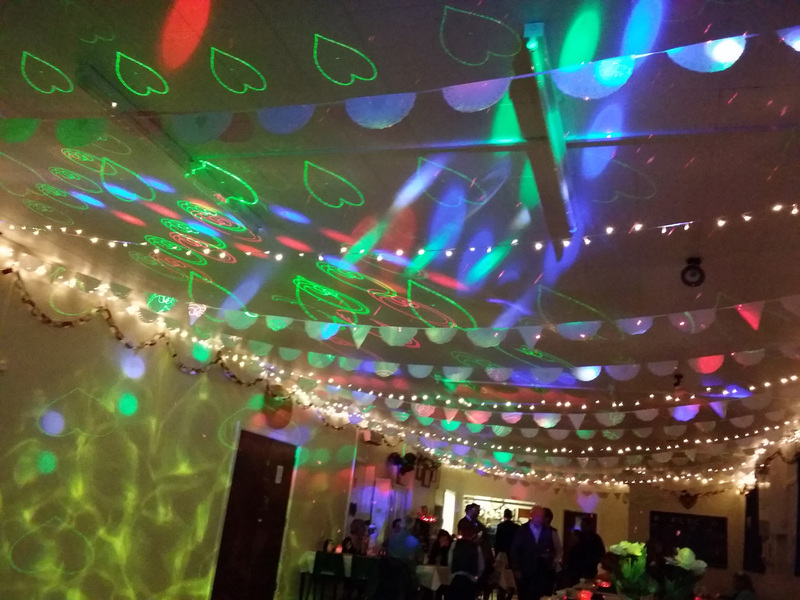 If you would like something organised during the evening we will be pleased to organise it or help you or your best man/woman organise it. 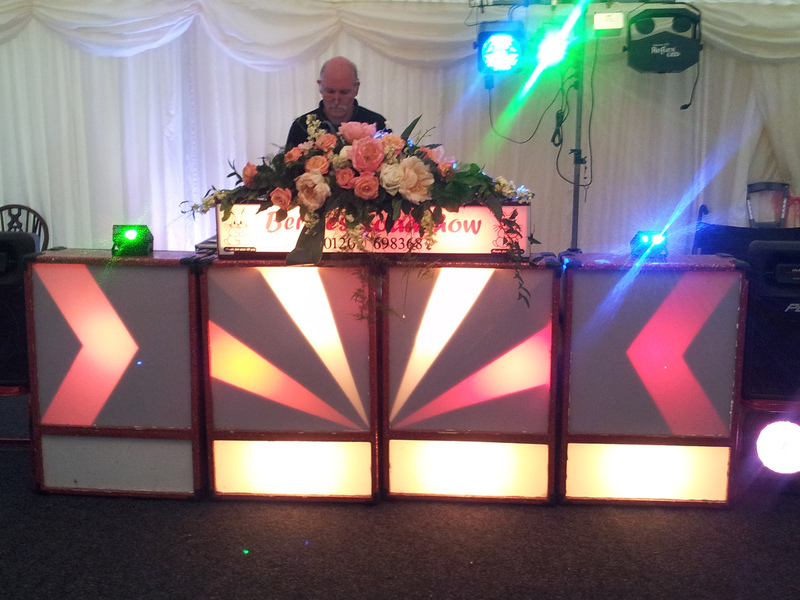 Our equipment can be adapted to fit most sizes of venue from the very small to the extra large. One thing we have learnt is that weddings always take longer than planned and things will run late. We are happy to play background music while you play catch up. 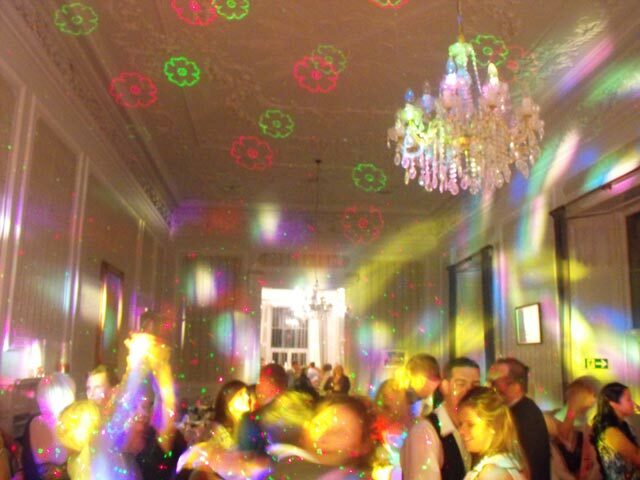 Evening guests are just as unpredictable allow an hour for arrivals 7.30 start often means 8 or 8.30. We at Bernies Roadshow are always trying to think of something different. 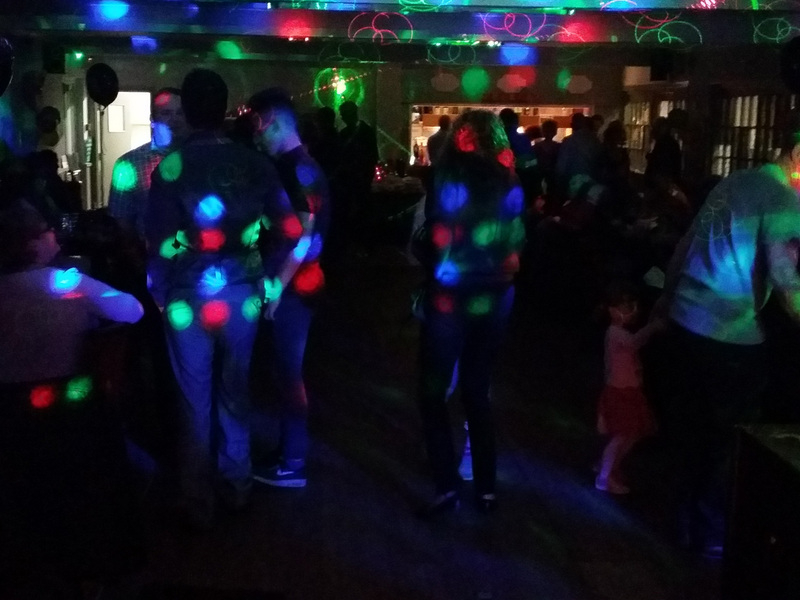 Recently we've had a number of enquiries for older style of music e.g an old school style disco or youth club disco, with all your favorite oldies 60s/70s/80s, rock etc. 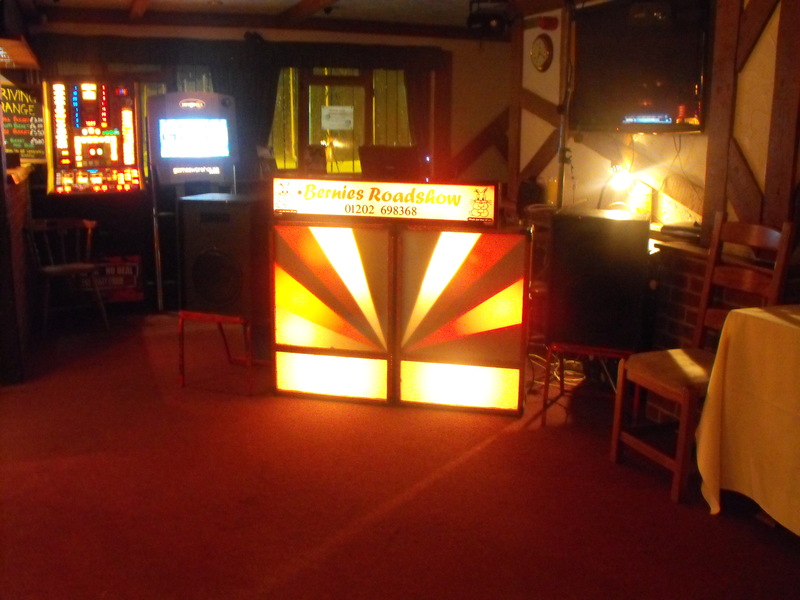 Probably for the over 40s when disco and music came on vinyl and loud !! well we can cater for the loud or the quiet, but sadly not the vinyl. Shame i hear you cry.!! 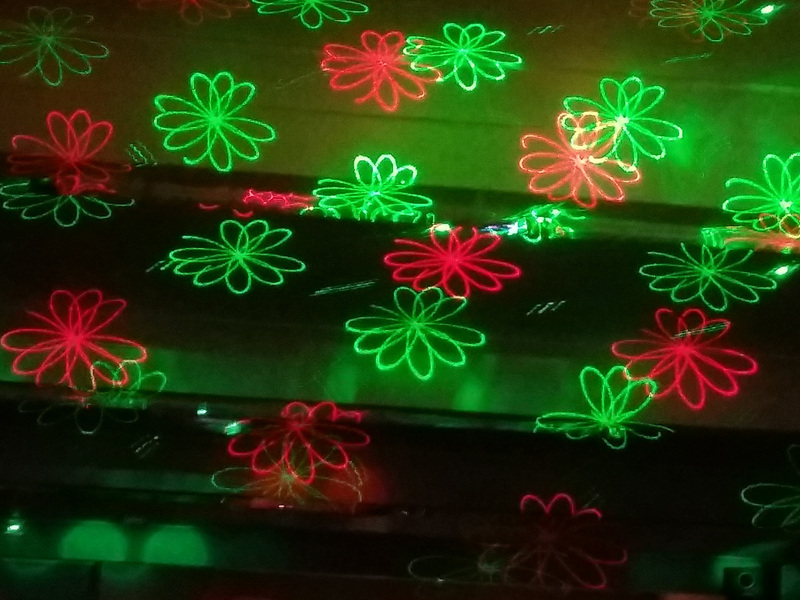 It doesn't matter how old you are, if you prefer the older music and you want to have just a good old fashion old school disco and maybe relive the music from your youth! if you want a bit of new music added in, it's not a problem, you tell us and we'll get on and play it for you!! 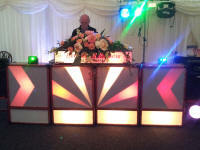 40s swing, 50s, 60s, Motown, Northern soul, 70s disco, 70s heavy rock, Glam rock, jazz funk, Reggae, 70s/80s soul, 80s, 90s, house, club, todays music. See anything you like? Your D.J. 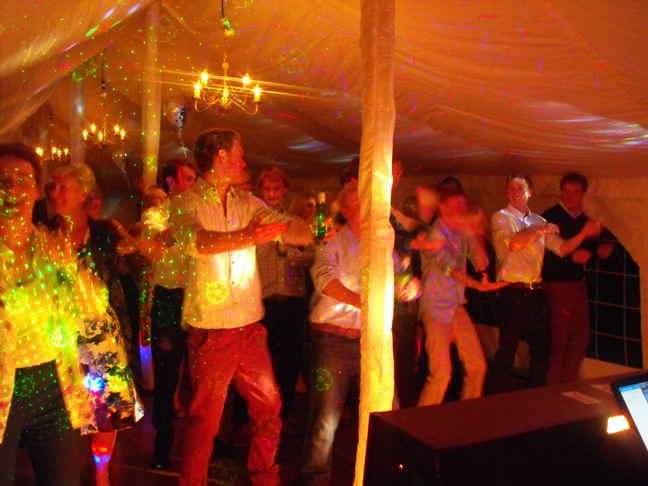 will as with all functions discuss in advance any special requests, announcements or other details that you would like him to do or include on the evening. As you can see from the above our music catalogue is vast it stretches back to the 40s! but mainly we play from the 50s onwards. We usually play for a mixed age group, some people like to have a cut off point (years) e.g. say nothing really past 1990 but only because of the age group or unless we get requests for a bit newer music. 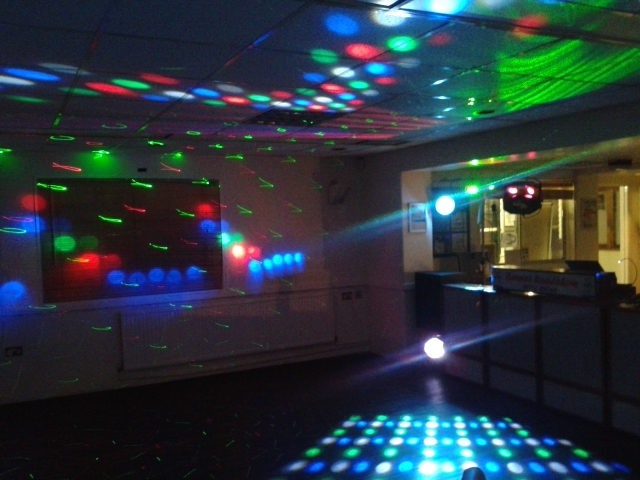 Our equipment can be adapted to fit most sizes of venue from the very small e.g. lounge to the extra large. 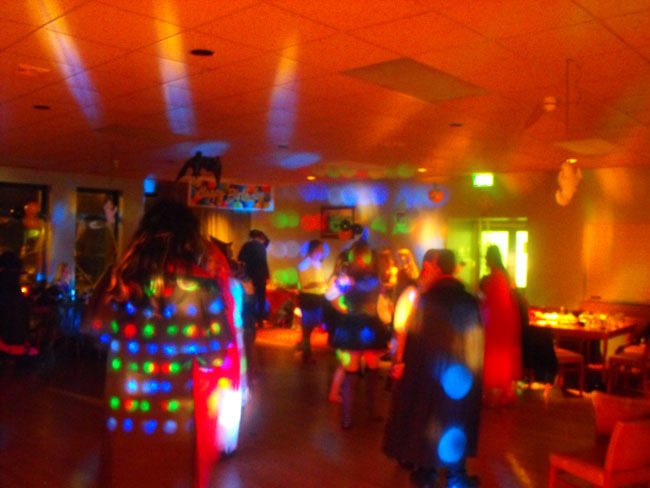 We are happy to play background music if necessary, if you have theme to your party we'll do our best to have music to suite. When your guests arrive they are unpredictable often a 7.30 start means 8 or even 8.30. for them, the timing of the food needs to be no later than 9.pm depending the quantity of guests. if you have 90+ it could take 45+ min to feed them! and then you're finished by 11.30. 90 minutes is not very long for them to jump around ! !